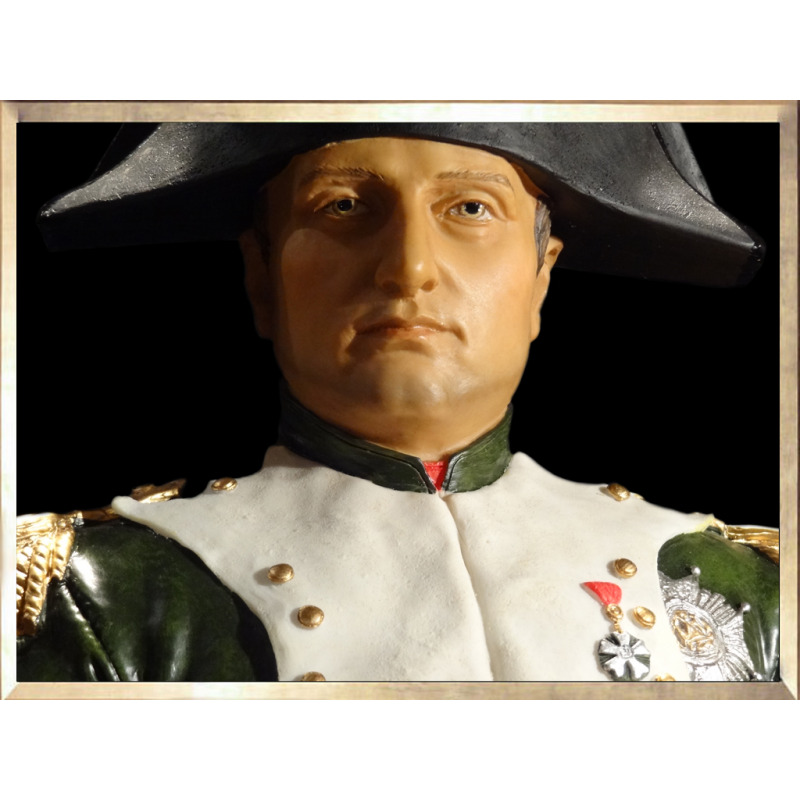 Ever dreamed of starring Napoleon into the eyes ? Here's your chance to do it ! The expression contained in the Emperor's gaze will make you turn pale with respect. Chain molded, but painted and finished by hand, this bust has received an exceptional polishing. Wearing his usual uniform of an officer of the Guard Chasseurs à Cheval, Napoleon is holding firmly in his left hand a scroll, while leaning on a pile of books. As usual, his right hand is tucked under the vest, in this pose that characterizes his majesty so well. Be it rom the front, the side, or even from his back, you'll spend long moments watching this bust without tiring.